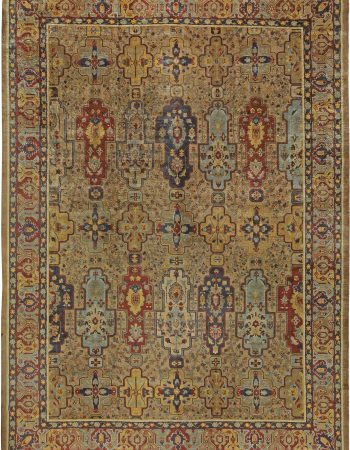 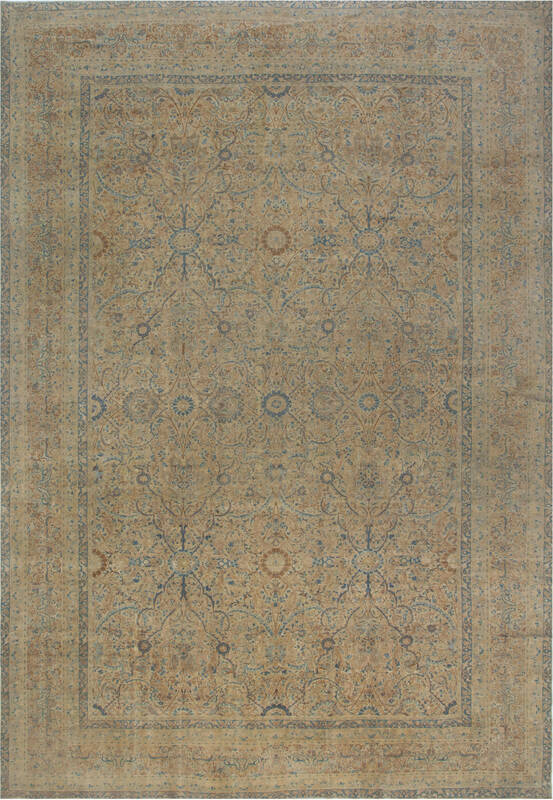 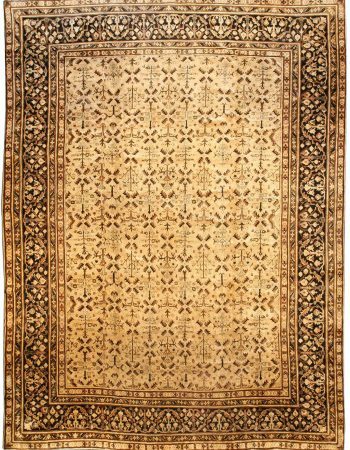 This stunning Persian Kerman rug draws the eye with its effortless elegance and complexity.Central field of the carpet contains a mosaic-like pattern composed of numerous elements. 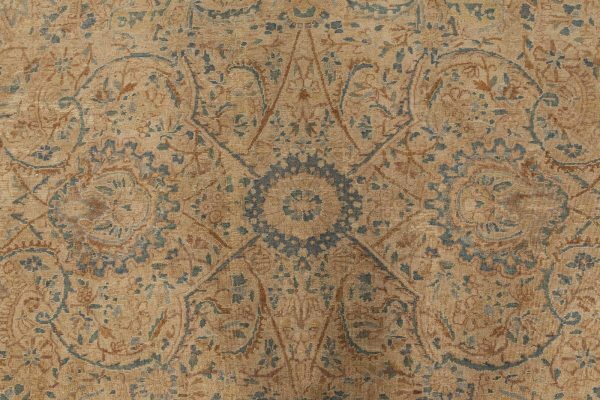 Closer look reveals that there are small blossoms hidden among the lines and circles, as if the weaver wanted to keep them a secret. 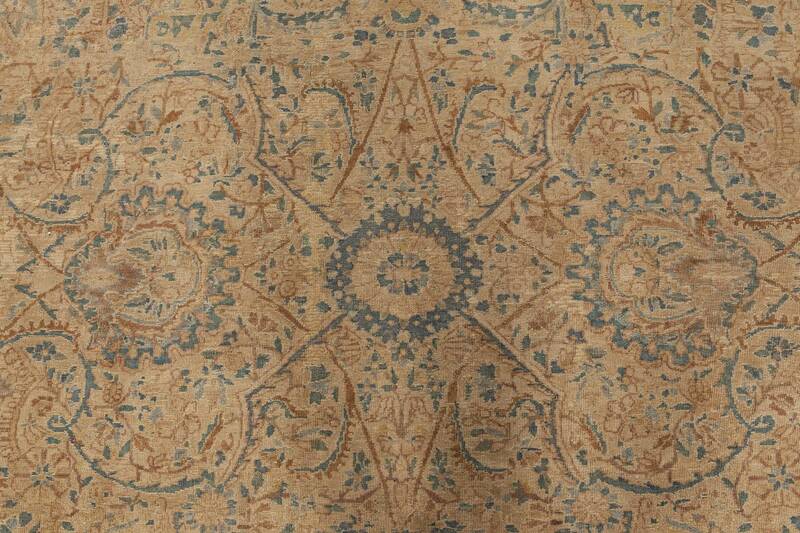 Frame of the pattern, while equally beautiful, consists mainly of curved leaves which create a mesmerizing garland. 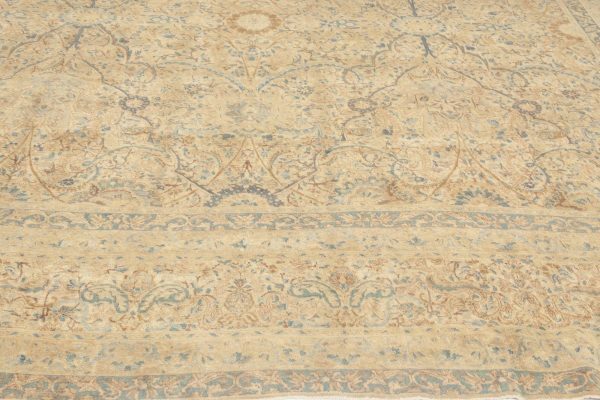 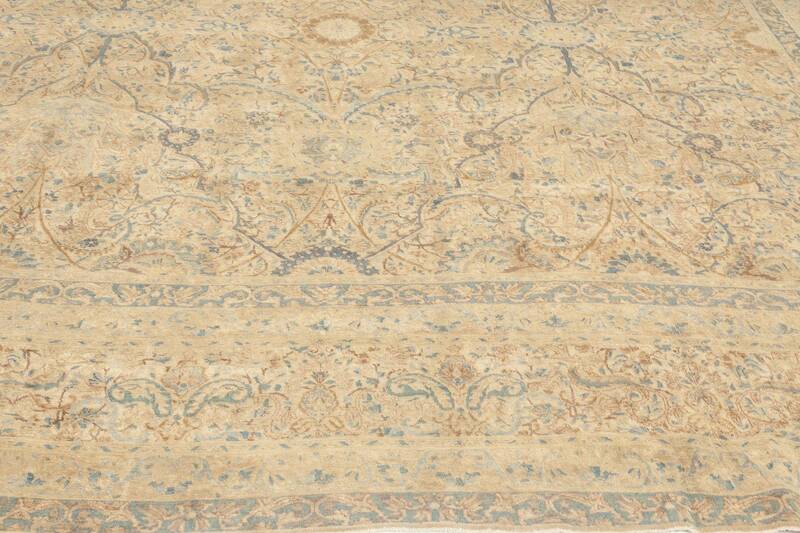 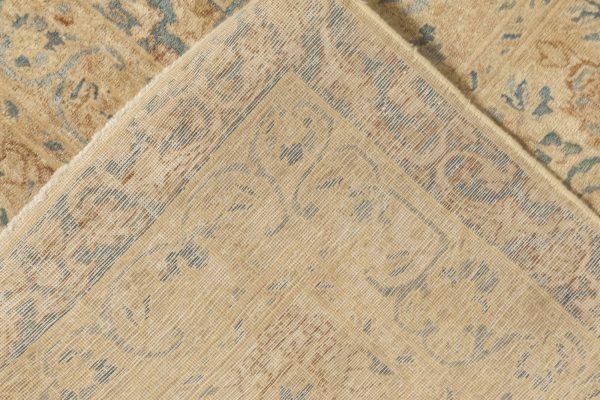 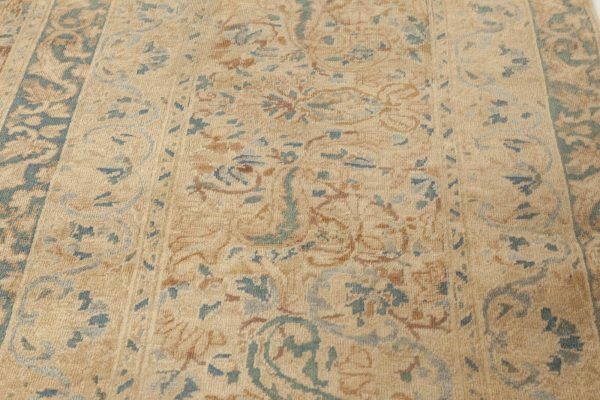 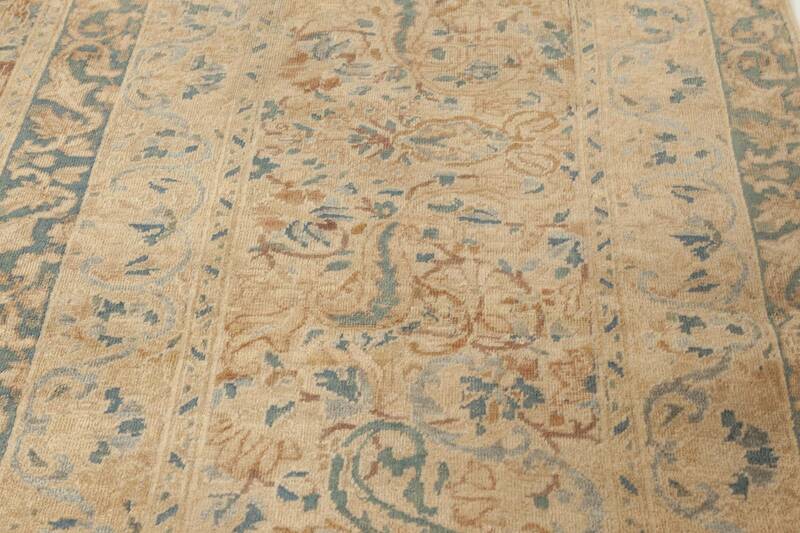 When it comes to the color palette we can see how much love was put into this antique carpet. 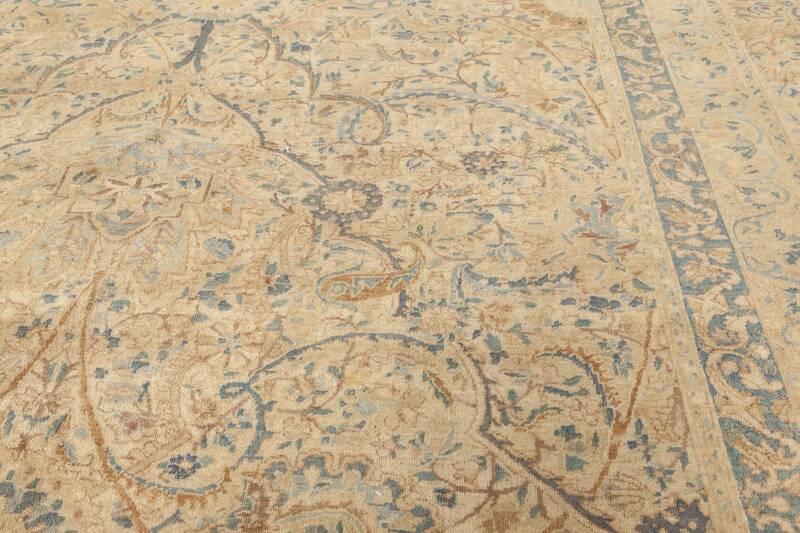 Mix of orange and blue on the field of beige soothes the senses and brings the feeling of nostalgia and longing. 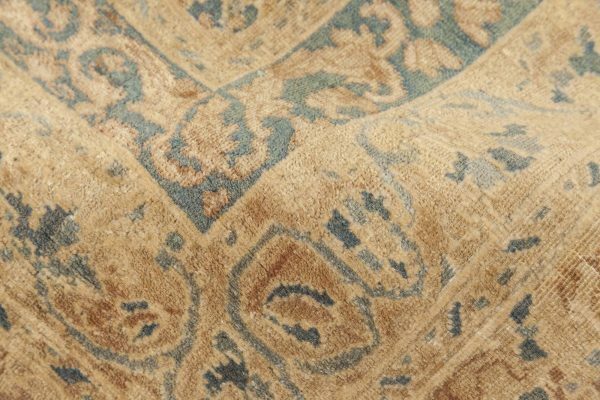 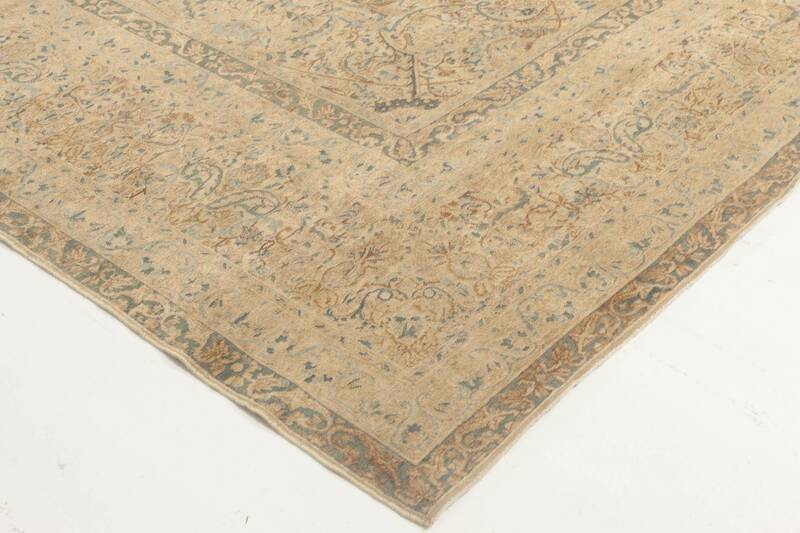 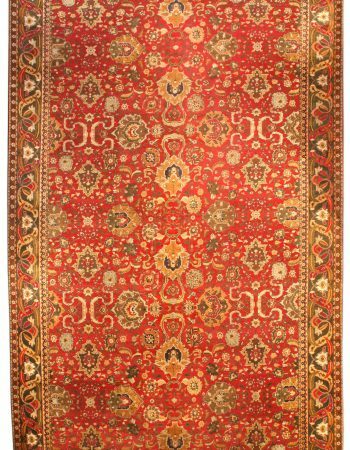 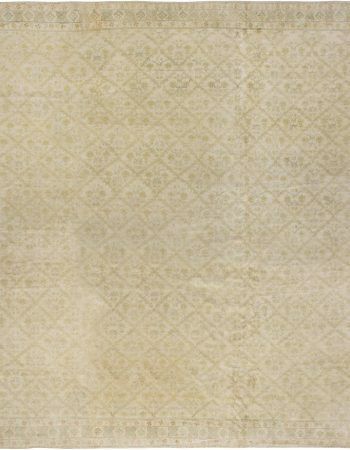 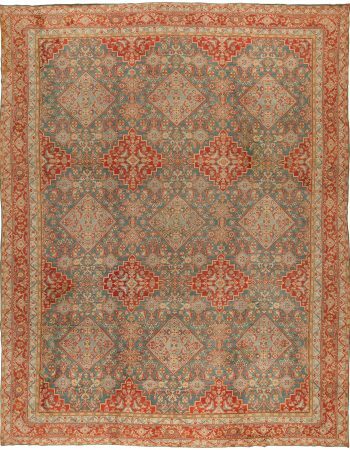 This hand woven persian rug is a real treasure waiting to be discovered.